Urban Play is ecstatic to introduce this iconic landmark for the Hervey Bay community. 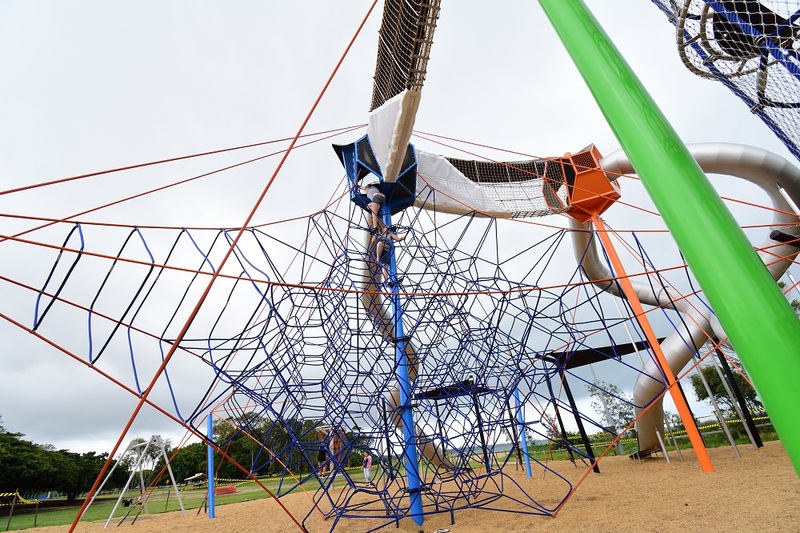 Working closely with the Fraser Coast Council, Urban play created a play space that was inspired by the activities the Bay is known for; foraging, splashing, exploring and discovering. 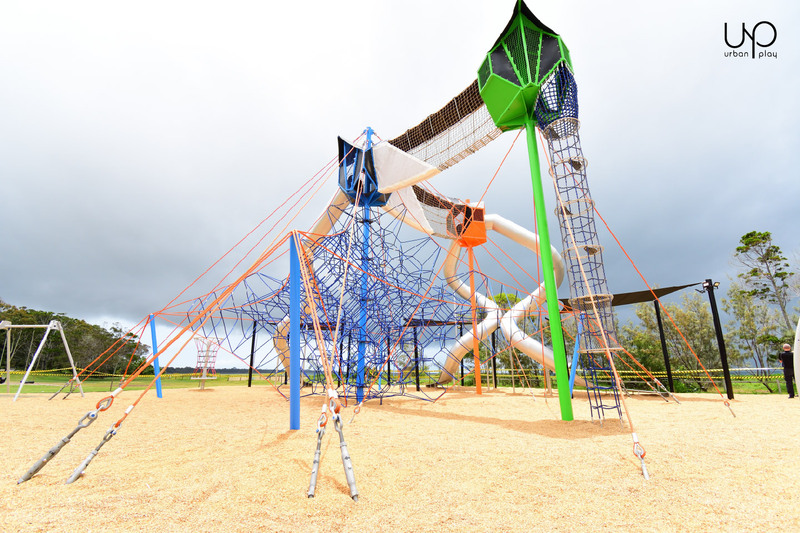 The end result of the collaboration is an eye-catching play space for the community where children of all ages and abilities can run, swing, climb, slide and make memories that will forever be cherished. 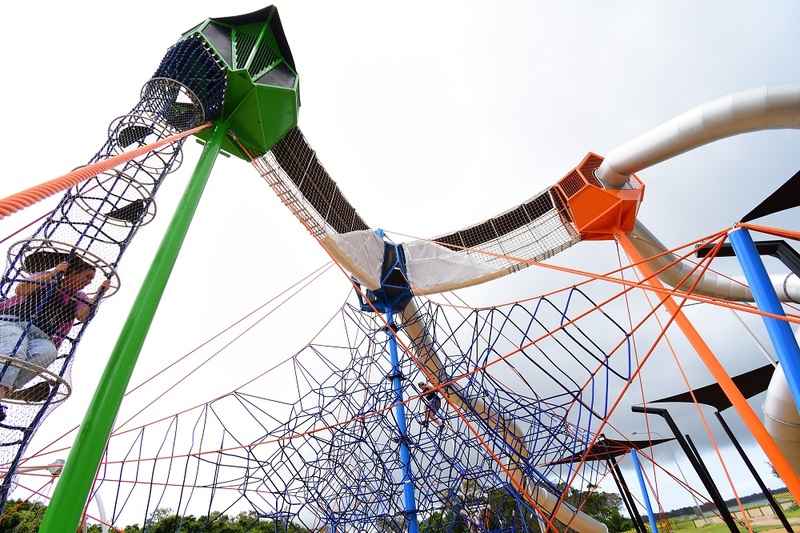 Featuring three 10.45m custom built sky towers, this impressive and colourful skywalk allows children to take in the magnificent views of the Hervey Bay foreshore, followed by an exhilarating journey down via one of the three massive stainless steel slides. 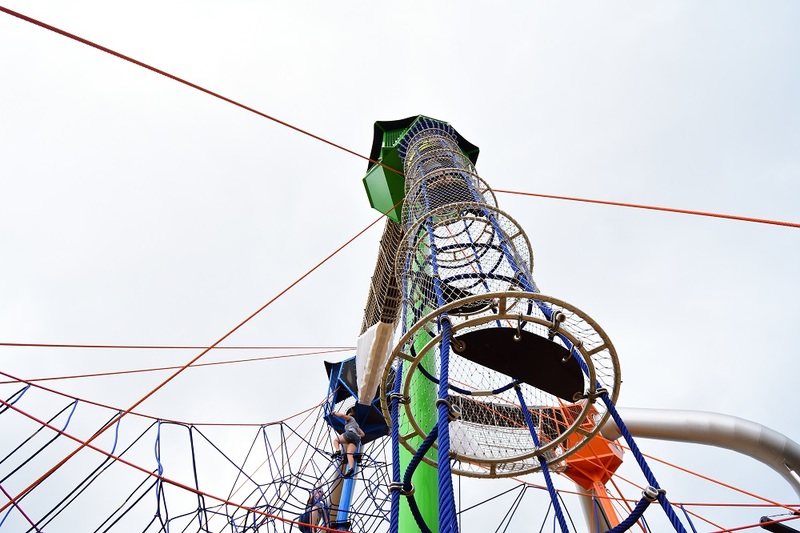 The intricate rope designs leading into the towers, is not only challenging and exciting for kids, it also focuses on balance, agility and coordination. 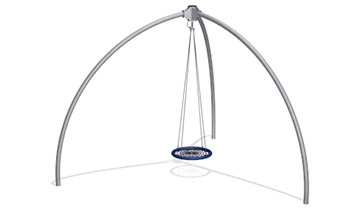 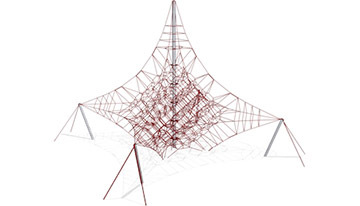 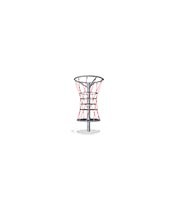 Other features of the playground include the Corocord net twister which encourages inclusivity and co-operation skills and two giant Birdnest Swing that allow multiple children to swing at one time. 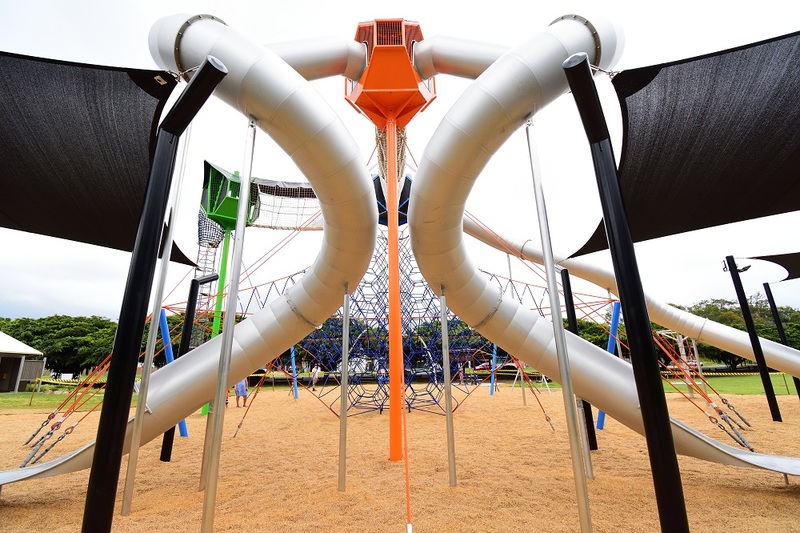 Opening at the end of November, this play space offers a social, interactive and visually astounding space for the community. 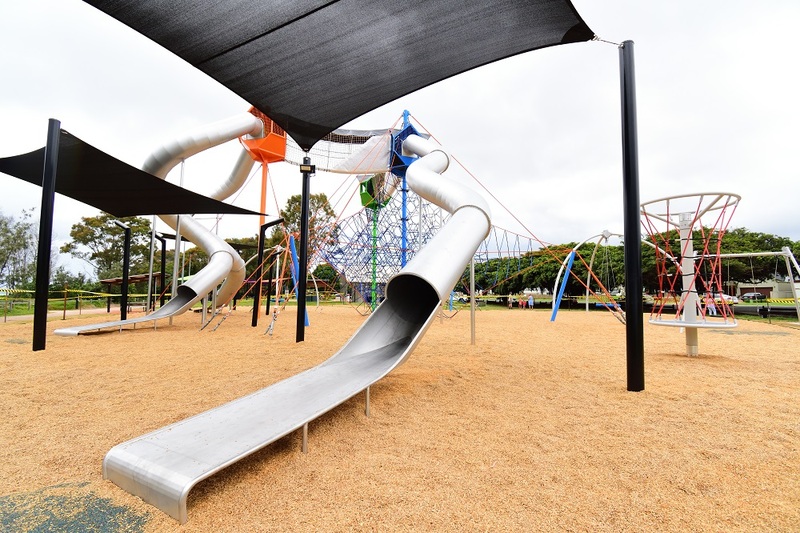 Urban Play collaborate with the Kompan Design Studio on our commercial playground designs to produce state of the art play spaces for communities all over QLD.